We are located in the heart of scenic Olde Cape Cod. Relax on the beach or around one of the pools. If you wish, a short drive will bring you to the ferries to the islands, or take a day trip to Provincetown or Hyannis. Four classes of cabins available for rent. Covered porches, heat/air, decks with furniture, BBQ grills and fire pits. No smoking. We enjoyed our first time at CCCR. This campground is very clean, safe and family oriented with many activities. Staff are friendly. Would highly recommend. Looking forward to going back. Great place to use as your home base if you want to travel around Cape Cod. Lots of things for kids to do in the park. We were there over a weekend when some of the seasonal campers came in and a few near us did not follow the quiet time rules. 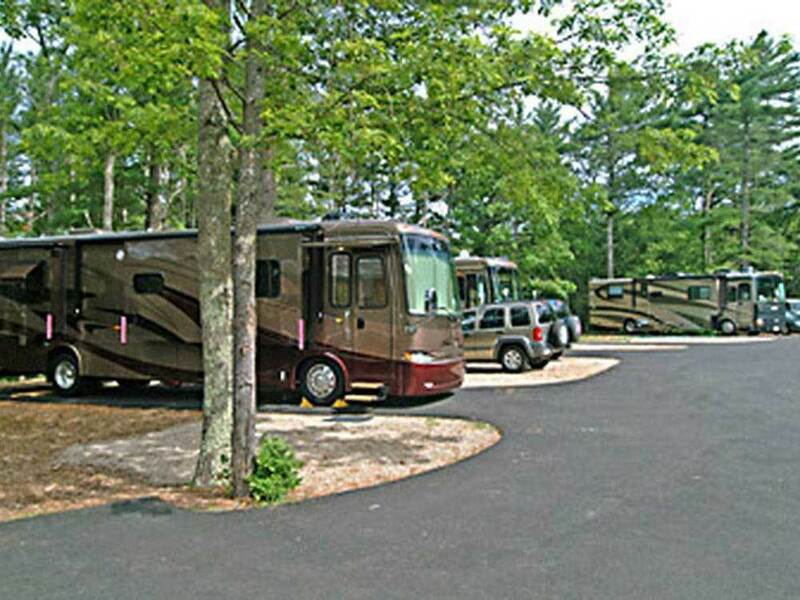 Overall very nice park with paved sites easy to get in and out of with motor home. I would highly recommend. we stayed over Memorial Day Weekend and had 3 different sites. 1st site we were not able to get our 36ft 5th wheel into the site. 2nd premium glamping site was across 5+ tent sites of 1 group. we then moved to upper level site that was much better. would recommend those. Also the cable was poor quality and we were never able to connect to the wifi at the café, deck or pool. Definitely not a 10/10/10. we stayed here 2 years ago, thought it may have changed and found out it did not. Most sites tar, ours was. Cable was plus(entire day of rain). Kids had plenty to do. Staff was helpful, park was clean. Beach area with paddle boats a plus. They had a well decorated very nice haunted trail. A lot of effort showed, creative and scary, loads of screams and fun. I made our reservations early June for a cabin and was told they were wide open and we could have a premium cabin with a lake view. Our 1st cabin looked nothing like the pictures you see on the website. Upon arrival we were very disappointed as the lake could only be seen it you were down by the fire pit. The cabin was very old & dark. It was impossible to read a book sitting in the living room at night. The mattress must have been the original as neither of us could get a good nights sleep on it. We ask if we could be moved to another cabin, but because of Labor Day week-end they were full. We were informed then that they were going to replace the cabin we were in and the one next to it because they were so old. They did move us on Tuesday to a nicer cabin. Unfortunately, late Wednesday we received a call that my Mother was hospitalized in serious condition and we better come home. We checked out early Thursday morning, but we we were immediately informed that they would not be able to refund our money. We flew home on Thursday and luckily made it back to be with my Mom who passed away on Friday evening. There was no concern or I'm sorry about your Mom - the only comment that was made was that we can't refund your money!! The office staff was very cold and uncaring, only worried about the bottom line. I WILL NEVER STAY HERE AGAIN!!!!!!!!!!!!! Everyone was so nice and friendly! They are very helpful and knowledgeable about the Cape Cod area. The only grip I had was they only had a VERY FEW cable channels! UGH! However it is a very nice camp site close to a lot of the attractions surrounding that area! A very nice location close to Falmouth and Woods Hole. Plenty of shade. Expensive but they have a couple of nice pools. I only gave them 3 stars for the bathrooms because they charge for showers - on top their $90 per night rate. Half price and no weekly requirement. May 1st to June 15th and after Labor Day to October 14th. Two night minimum. Base rates are for a family of 2 adults and their dependent children. No pets and no smoking allowed in cabin.